trends, use cases, and best practices for implementing WebRTC. Artificial Intelligence (AI) has been continuously improving the healthcare industry for years. And now, with the convergence of two powerful technologies – AI and live video – a whole new wave of innovation has emerged. AI-powered live video is helping healthcare providers to analyze mountains of data to identify diagnose faster and more accurately than ever imagined, deliver an outstanding patient experience, and free up health professionals to do what they do best: provide care. 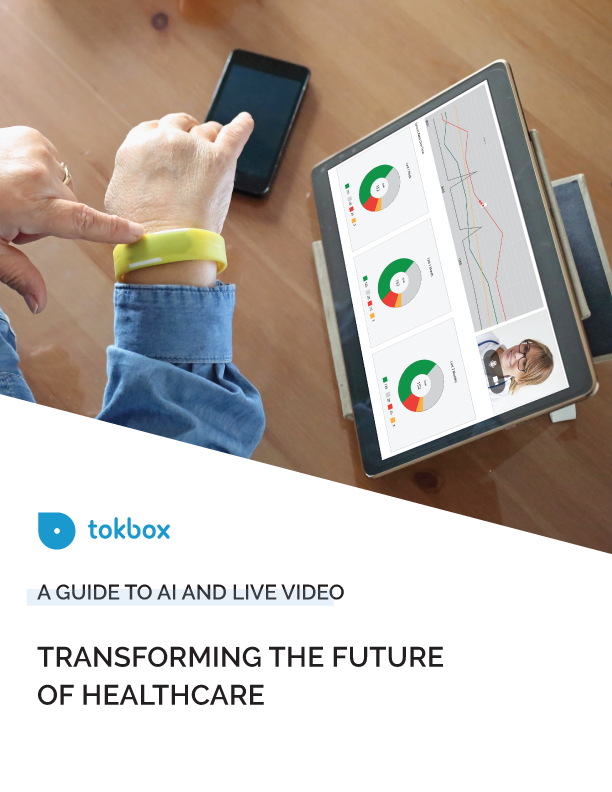 This guide will explore how innovators in the healthcare industry can push past the boundaries of what was once humanly possible, and how the combination of AI and live video is changing the face of healthcare. Artificial Intelligence (AI) is one of the biggest innovations to impact the financial services space. And now, banking and finance is getting a whole lot smarter, secure and enjoyable to use, thanks to AI-powered live video. 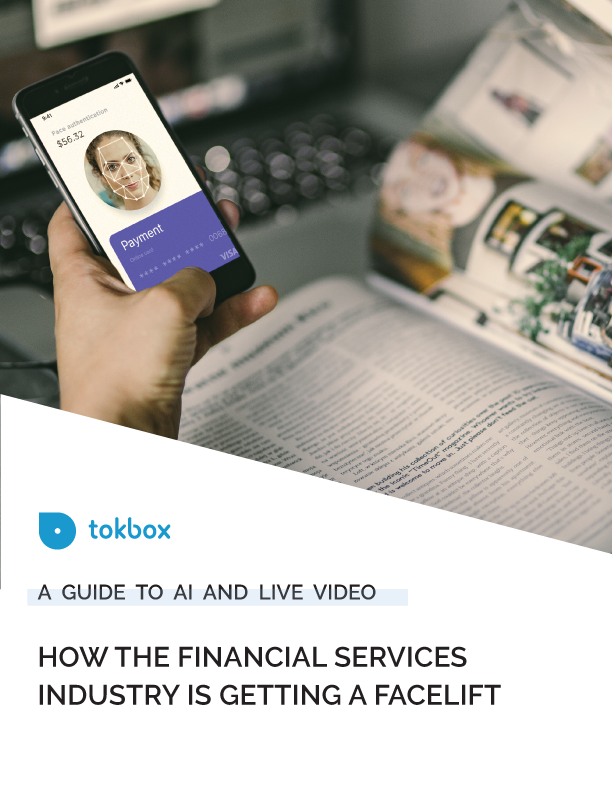 This guide will explore how the combination of AI and live video is being used by innovators to tap into a whole new realm of possibilities with security, customer service and business efficiencies for the financial services industry – while maintaining the human touch. 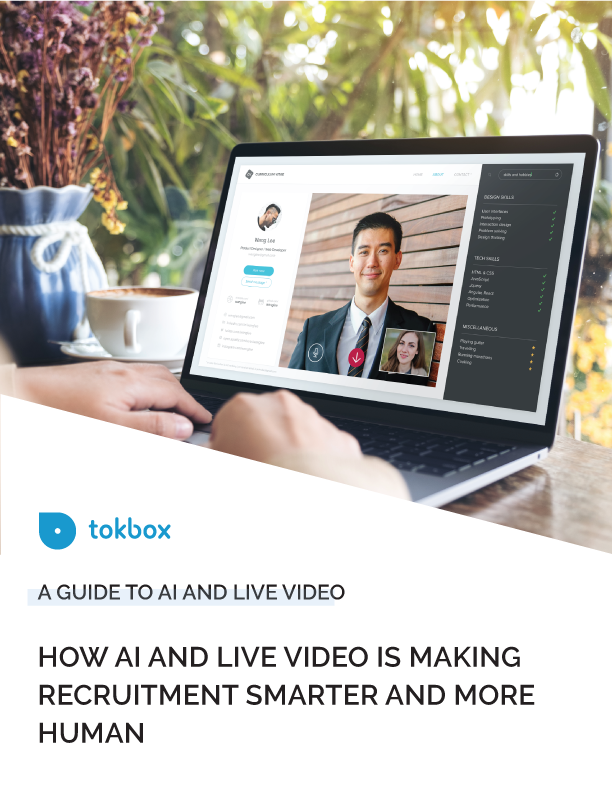 This guide explores how the powerful combination of AI and video is making recruitment not only easier, but smarter and more human. Discover how innovators are pushing past the boundaries of what was once possible in the recruitment industry with AI + live video. Artificial Intelligence (AI) and Augmented Reality (AR) are changing the world at a rapid pace and the world of education is no exception. From machine learning tutoring platforms to live video emotional recognition and even wearable technologies that create 3D environments – innovators are developing AI and AR-powered education solutions for just about every aspect of the learning process. 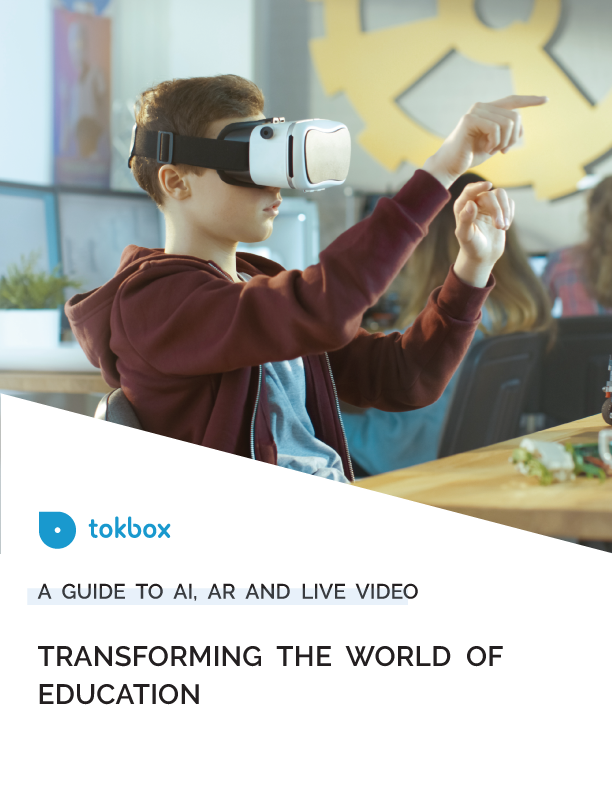 This guide explores how educators can use AI, AR and live video together to push the boundaries of education and provide incredible learning opportunities for their students. This guide will explore how innovators in the security, video monitoring and IoT space are leveraging powerful new technologies, algorithms and massive amounts of data to push past the boundaries of what was once possible, making homes, businesses and the public safer. Artificial intelligence (AI) is not just an idea floating somewhere far off in the future anymore, it’s already here. And it’s playing an increasingly important role in shaping customer service and relationships. Companies are realizing the huge potential AI paired with live video in not only delivering the experiences consumers want, but also anticipating their needs before they’ve made it known – ultimately delivering the kind of personalized and effective service consumers demand. This guide will explore how innovators in customer service technology are pushing past the boundaries of what was once possible. 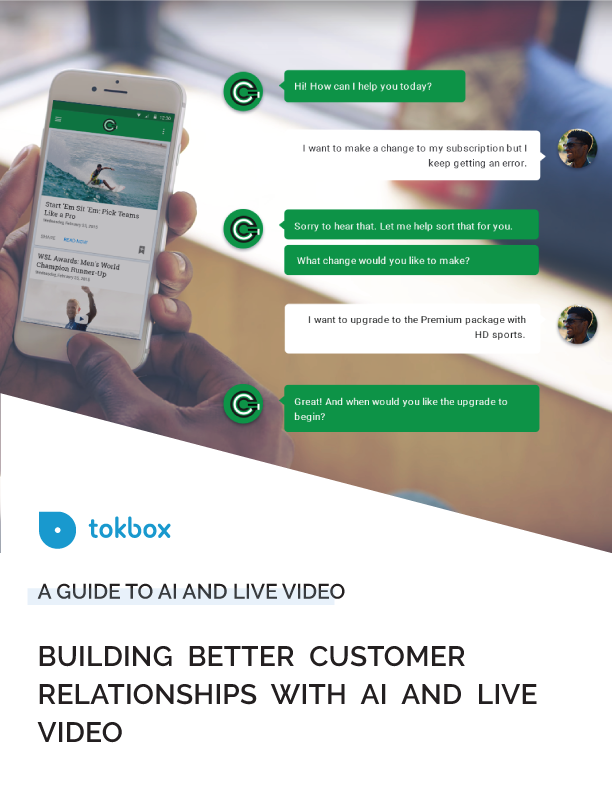 Discover how the combination of AI and live video is building incredible relationships between businesses and their customers. The General Data Protection Regulation (GDPR) comes into effect on May 25th 2018. This major piece of EU legislation has implications for businesses globally who deal with personal data of EU citizens and residents. In this information guide, find out how TokBox has prepared for GDPR compliance and learn about the key responsibilities of TokBox and our customers when it comes to personal data. Artificial intelligence (AI) is transforming the way we look after our health. This guide looks at how and where AI is already being used to improve the experience for patients and professionals, reduce wait times to see a doctor and speed up diagnosis. We’ll also look at the limitations of this new technology and examine why a human to human interaction is irreplaceable when it comes to our health. Live video is no longer considered a “nice to have” feature for global businesses - it’s now considered a must-have, bringing together convenience and ease of use for users everywhere. Consumers and businesses in Asia are rapidly adopting live video - particularly in China. Today, China is benefiting from live video technology to improve reach and connect Chinese users to experiences outside of China, particularly for education and healthcare use cases. 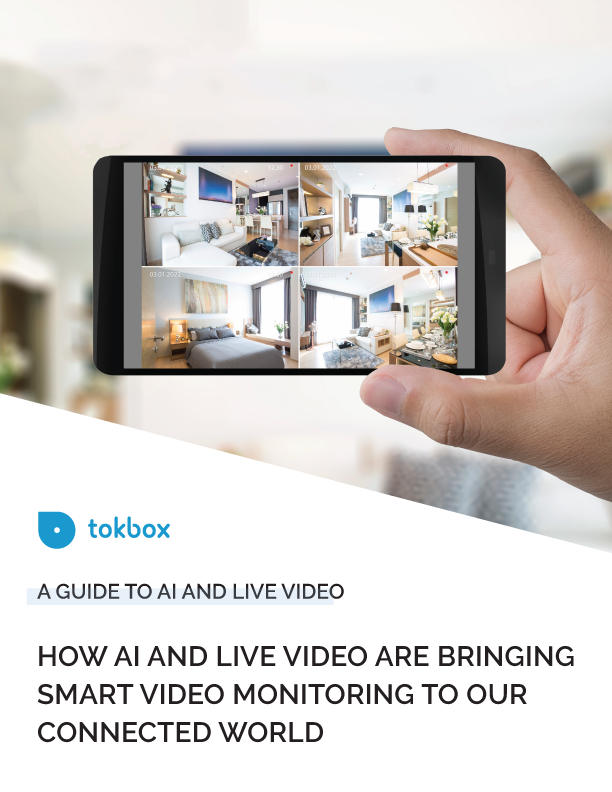 This guide will walk you through the market opportunity for live video in China, how TokBox is providing companies with the opportunity to reach users from anywhere. The insurance industry is changing. With the adoption of live video communication, automation and artificial intelligence, they’re reaping the rewards of quicker turnaround times and increased revenue. By leveraging these advances in technology, innovators in this industry are revolutionizing the way insurance companies and their customers interact. This guide will explore how the insurance industry is benefiting from the incredible opportunities that AI provides, while maintaining that all-important human element that simply can’t be replicated by a machine. Live video is one of the fastest growing communication trends, revolutionizing the way we interact with people and organizations across the globe. Innovative industries are providing extraordinary services through the live video experience. 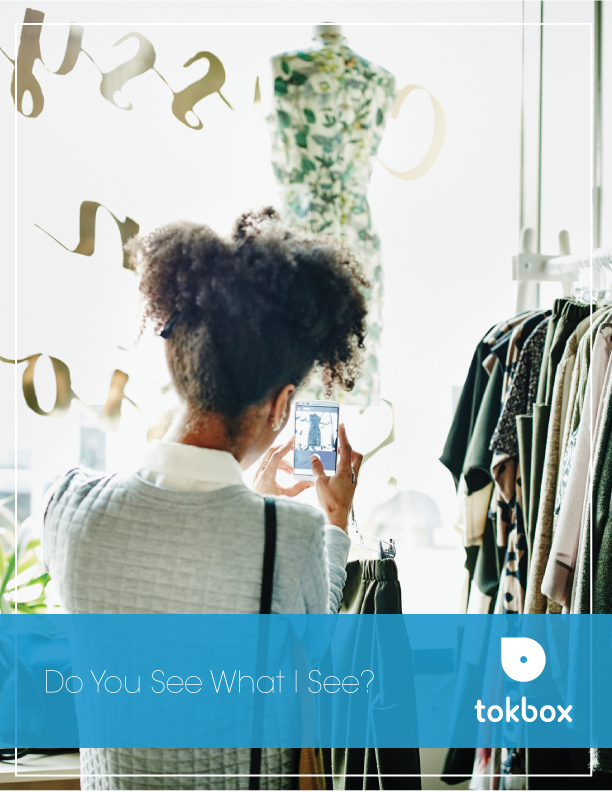 But video isn’t just about chat - video is enabling what has become known as “see-what-I-see”, where any person can see and experience the physical space of someone else in a totally different location. And this guide will open your eyes to the massive potential for any organization wishing to change the customer experience forever. Artificial intelligence (AI) is rapidly transforming industries, enabling new experiences, greater efficiencies and cost savings. As advances in AI continue, few areas of our lives will remain untouched, education included. This guide looks at how and where AI is already being used to improve education, and examines the importance of the human element in an increasingly automated world. Technology is transforming the way that we teach and learn. As an increasing number of students opt for flexible, accessible e-Learning courses, education institutions and startups are transforming the learning experience. In this short guide, find out how live video can enable great virtual tutoring applications for 1-on-1 learning and the impact it has on the student experience. The way we learn is changing constantly with the availability of new technologies. As online courses grow in popularity, live video is being used to replicate the traditional classroom in a digital environment. In this short guide, learn about the opportunity for live video in education, how a virtual classroom works and the impact it has for students. Technology is transforming the way that we teach and learn. An increasing number of education institutions offer courses which are followed exclusively online. However, monitoring and evaluating assessments and exams for e-Learning courses has traditionally been tricky, and the risk of cheating has made it difficult to provide reliable and trustworthy qualifications at the end of a course. In this short guide, find out how live video has enabled innovative new exam proctoring applications, which solve this problem and allow exams taken online to be as trustworthy as the traditional, presencial option. Leading educational institutions are increasingly moving towards a digital model of delivering classes and courses, which opens up possibilities to expand their reach beyond geographical boundaries and allows a wide range of students and teachers to be involved in the learning process. However, with the march of technology, it would be easy to lose the human touch which makes such a difference as a student. Learn how telepresence robots are bridging the gap between the digital and the physical worlds and the impact it has on the learning experience. This paper explores emerging trends within e-Learning. Four key drivers are pushing education into a new era: new technology, new attitudes, declining funds, and rising demand. Find out how Chegg, Minerva Project & more are leveraging real-time communication to disrupt traditional learning models. 2017 has seen an explosion of live video on the internet – from streaming and broadcasts on traditional social platforms, to group video chat on all new social mobile apps. In 2017 and beyond, brands and consumers will be pushing the boundaries of creative content – and those who don’t embrace live video just might get left behind. In this guide, you will learn about the rise of interactive real-time video: beginning with the first wave of one-way streaming apps, to the recent wave of interactive broadcast and how brands are leveraging live video to engage a mass audience at scale. The Asia Pacific market is hungry for live video. With a rapidly growing population raised in a mobile first world, there are huge opportunities for businesses to reach a market of hundreds of millions consumers with interactive live video. In this guide you will learn about the rise of live video in Asia: its origins, its evolution, its use cases and its enormous potential for any organization wishing to connect with and engage this booming consumer and business market. As high street bank branches are being closed in favour of online services and mobile apps, the friendly face and personal touch from a bank teller, once an integral part of the customer experience, have largely been replaced by automation. Despite this, and the increasingly customer expectation to complete banking transactions whenever and wherever they want, many customers still desire human interaction when it comes to their money. In an attempt to marry convenience and personalized service, banks are turning to interactive live video for their websites and mobile apps. This guide will demonstrate how interactive live video is ushering in a new era of service in retail banking. WebRTC is one of the fastest growing technology standards of all time. Bringing the power of communication directly into the apps and websites that users, employees and are using all the time. Across a range of industries, WebRTC is driving more efficient and effective experiences, user experiences and business outcomes. 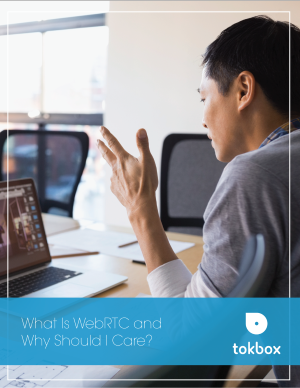 This paper will explain WebRTC, the reasons behind its explosion, the benefits of adoptions and real world implementations of this technology. The telehealth industry is undergoing rapid growth with the global market set to reach $6.5 billion over the next 5 years. Live video is increasingly being embedded into telehealth offerings including websites, mobile apps and medical workflows to deliver convenient, affordable and quality remote care. TokBox has conducted research into consumer usage and appetite for live video in healthcare. This paper will explore this demand and how healthcare organizations can seize the explosion of consumer live video to deliver better care. How we access and store our money is of paramount importance, and a service which we want to be secure, as well as convenient. Live video offers online financial services the opportunity to provide this – retaining the reassuring human element, while still providing constant access on-the-go. This paper explores the unique opportunities available to financial services through live video and ways they can deliver personalized customer service. With consumers now constantly connected and increasingly doing everything online, they are expecting more from the companies that they interact with. Now customer service interactions can make or break a customer-business relationship. With hundreds of thousands of such interactions per day, it is vital for any organization to make sure it is providing innovative and customer-focused help services. This paper will explore how live video can help organizations deliver innovative, personalized, contextualized and efficient services to all customers. Social media has long been an integral part of daily life for many and in recent years live video has become an increasingly important part of this. For example, when Facebook launched a live video option on its messenger app last year there were over one million calls made in its first two days. This paper explores this rise of live streaming in social media and the opportunities for social network providers to leverage real-time video technology. The explosion of consumer live video, combined with the dramatic demand and growth of online education services has led many education organizations to leverage interactive online video. Driven by process efficiency, engagement and outcomes, live video is now being embedded into core learning environments. This paper explores how education companies are leveraging the explosion of consumer live video to deliver better experiences and improved outcomes. Live video - once a novelty - has entered the mainstream. Everyone is now using live video to communicate with friends and family. With live video becoming the norm, brands and companies are now looking to communicate with their customers through this medium. TokBox conducted research into consumer usage and appetite for live video in B2C communications. This guide will unveil the growth in video chat, the opportunity for brands and best practices to prepare your customer service strategy for the rise of live video. In an increasingly fragmented digital world, the way fans consume and engage with sports has changed. In order to engage their socially active and always online fans, sports broadcasters are looking to create new online experiences. Digital technologies including WebRTC and Interactive Broadcast solutions are increasingly being leveraged to do this. This paper explores how embedded communications are being used in order to meet and exceed media new fan expectations and transform the broadcast industry. Embedded Communications are increasingly being leveraged by organizations to bridge the gap between colleagues, businesses and customers. This March 2016 study, Business Success Through Embedded Communication Technology, explores the results of a study conducted by Forrester Consulting, commissioned by TokBox, to evaluate the adoption impact of WebRTC among enterprises across customer service, field services, healthcare, education, and financial services. While demand for healthcare continues to grow at an unprecedented rate, healthcare providers are facing significant challenges to provide timely and convenient care to patients while still retaining the human element that is so vital to healthcare. This paper explores how embedded communications are being leveraged in order to overcome these challenges and to revolutionize the healthcare industry. This paper explores the use of video within B2B communications: how it can work, models for success and key deployment decisions. It aims to provide a template and examples to help guide key decisions for implementation of real time communication, to help your organization become more efficient and effective.